A machine is a tool consisting of one or more parts that is constructed to achieve a particular goal. Machines are powered devices, usually mechanically, chemically, thermally or electrically powered, and are frequently motorized. Historically, a device required moving parts to classify as a machine; however, the advent of electronics technology has led to the development of devices without moving parts that are considered machines. Quotes are arranged alphabetically by author. Soon silence will have passed into legend. Man has turned his back on silence. Day after day he invents machines and devices that increase noise and distract humanity from the essence of life, contemplation, meditation... tooting, howling, screeching, booming, crashing, whistling, grinding, and trilling bolster his ego. His anxiety subsides. His inhuman void spreads monstrously like a gray vegetation. Jean Arp; As cited in: Carol Dingle (2000) Memorable Quotations: French Writers of the Past. p. 8. Warren G. Bennis; As cited in: Mark Fisher (1991) The millionaire's book of quotations. p. 151. It is difficult not to wonder whether that combination of elements which produces a machine for labor does not create also a soul of sorts, a dull resentful metallic will, which can rebel at times. Pearl S. Buck; As cited in: Rosalie Maggio (1996) The New Beacon book of quotations by women. p. 424. Were we required to characterise this age of ours by any single epithet, we should be tempted to call it, not an Heroical, Devotional, Philosophical, or Moral Age, but, above all others, the Mechanical Age. It is the Age of Machinery, in every outward and inward sense of that word; the age which, with its whole undivided might, forwards, teaches and practises the great art of adapting means to ends. Nothing is now done directly, or by hand; all is by rule and calculated contrivance. For the simplest operation, some helps and accompaniments, some cunning abbreviating process is in readiness. Our old modes of exertion are all discredited, and thrown aside. On every hand, the living artisan is driven from his workshop, to make room for a speedier, inanimate one. The shuttle drops from the fingers of the weaver, and falls into iron fingers that ply it faster. When a machine begins to run without human aid, it is time to scrap it - whether it be a factory or a government. Alexander Chase (1966) Perspectives. Cited in: Anna Hart (1988) Expert systems: an introduction for managers. p. 111. A blacksmith, Thomas Newcomen, in collaboration with a plumber, John Calley, produced the first commercially successful machine for "raising water by fire." Newcomen could not have based his design on prevailing scientific theory, White argued, because his engine relied on the dissolution of air in steam, and "scientists in his day were not aware that air dissolves in water." Evidently "the mastery of steam power" was a product of empirical science and was "not influenced by Galilean science." Clifford D. Conner, A People's History of Science (2005) quoting from Lynn White, Jr., "Pumps and Pendula: Galileo and Technology," in Galileo Reappraised ed. Carlo Luigi Golino (1966). Henry Englefield Cited in: Bennet Woodcroft. Brief Biographies of Inventors of Machines for the Manufacture of Textile ... (1863) p. xiv. It is a medium of entertainment which permits millions of people to listen to the same joke at the same time, and yet remain lonesome. T.S. Eliot, about radio; Cited in: Robert Andrews (1987) The Routledge dictionary of quotations. p. 262. Havelock Ellis (1948) Morals, manners, and men. p. 41. Erich Fromm; as cited in: Noah benShea (2001) Great Quotes to Inspire Great Teachers. p. 23. We are becoming the servants in thought, as in action, of the machine we have created to serve us. John Kenneth Galbraith (2007) The new industrial state. p. 9. Ellen Goodman (1978) "The Human Factor," The Washington Post, January 1987. 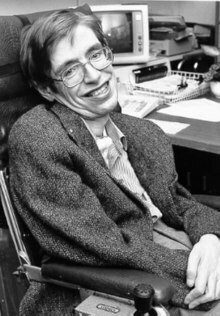 Stephen Hawking, quoted in "Stephen Hawking Says We Should Really Be Scared Of Capitalism, Not Robots" Huffington Post, October 8, 2015. Elbert Hubbard, The Roycroft Dictionary and Book of Epigrams, 1923. We must ask whether our machine technology makes us proof against all those destructive forces which plagued Roman society and ultimately wrecked Roman civilization. Robert Strausz-Hupe, Philadelphia Inquirer (1978). Lucca: Machines aren't capable of evil. Humans make them that way. Mark Kennedy as cited in: Stuart Kantor (2004) Beer, Boxers, Batteries, And Bodily Noises. p. 39. You cannot endow even the best machine with initiative; the jolliest steam-roller will not plant flowers. Walter Lippmann in: ictor Earl Amend, Leo Thomas Hendrick eds. (1964) Ten contemporary thinkers. p. 315. It is questionable if all the mechanical inventions yet made have lightened the day's toil of any human being. John Stuart Mill (1848); As cited in: Colin Renfrew (1972) The Emergence of Civilisation. p. 499. The preparation for the machine that took place between the tenth and the eighteenth century gave it a broad foundation and assured its speedy and universal conquest throughout Western Civilization. But in back of this lay the long development of technics itself: the original exploration of the raw environment, the utilization of objects shaped by nature--shells and stones and animal gut- for tools and utensils: the development of fundamental industrial processes, digging, chipping, hammering, scraping, spinning, drying: the deliberate shaping of specific tools as necessities pressed and as skill increased. The machine itself ... is a human product, and its very abstractions make it more definitely human in one sense than those human arts which on occasion realistically counterfit nature. The machine is no longer the paragon of progress and the final expression of our desires: it is merely a series of instruments, which we will use in so far as they are serviceable to life at large, and which we will curtail where they infringe upon it or exist purely to support the adventitious structure of capitalism. Lewis Mumford, Technics and Civilisation (1934), 109. Saint-Exupéry (1939) Wind, Sand, and Stars. E.F. Schumacher (1985) Good Work. p. 25. B.F. Skinner, Contingencies of Reinforcement, 1969. A machine, receiving at distant times and from many hands new combinations and improvements, and becoming at last of signal benefit to mankind, may be compared to a rivulet, swelled in its course by tributary streams until it rolls along a majestic river, enriching in its progress provinces and kingdoms. In retracing the current, too, from where it mingles with the ocean, the pretensions of even ample subsidiary streams are merged in our admiration of the master-flood. But, as we continue to ascend, those waters which, nearer the sea, would have been disregarded as unimportant, begin to rival in magnitude, and divide our attention with, the parent stream; until, at length, on our approaching the fountains of the river, it appears trickling from the rock, or oozing from among the flowers of the valley. So, also, in developing the rise of a machine, a coarse instrument or a toy may be recognized as the germ of that production of mechanical genius whose power and usefulness have stimulated our curiosity to mark its changes and to trace its origin. The same feelings of reverential gratitude which attached holiness to the spots whence mighty rivers sprung, also clothed with divinity, and raised altars in honor of the saw, the plough, the potter's wheel, and the loom. Robert Stuart (1829) Historical and descriptive anecdotes of steam-engines, and of their inventors and improvers, Volume 1. Wightman and Cramp. p. 3-4.: As cited in Robert Henry Thurston "The Growth of the Steam-Engine I" in Popular Science Monthly Volume 12, November 1877. p. 15. It’s possible to imagine a machine that could scoop up material – rocks from the Moon or rocks from asteroids – process them inside and produce just about any product: washing machines or teacups or automobiles or starships. Once such a machine exists it could gather sunlight and materials that it’s sitting on, and produce on call whatever product anybody wants to name, as long as somebody knows how to make it and those instructions can be given to the machine. The particular ‘desire’ of the Eregion Elves—an ‘allegory’ if you like of a love of machinery, and technical devices—is also symbolised by their special friendship with the Dwarves of Moria. Machines do not run in order to enable men to live, but we resign ourselves to feeding men in order that they may serve the machines. This page was last edited on 12 January 2019, at 18:06.